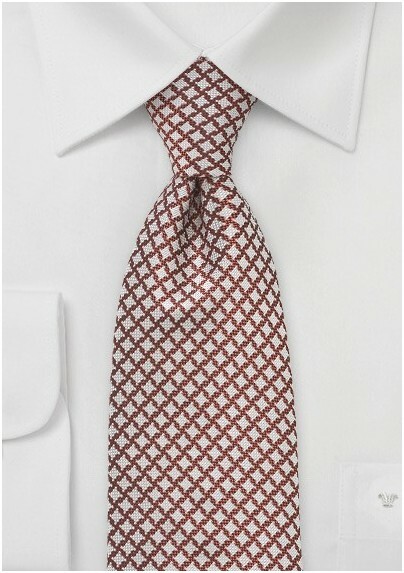 Instantly give your style iconic status by accessorizing your menswear fundamentals with this men's artisan necktie in organic shades of chestnuts and creams. The beautifully textured accessory infuses a cool and laid back aesthetic to any menswear ensemble. Create a sensational look with plenty of bravado by teaming this utilitarian necktie with a denim button up, broken in chinos and brown chukka boots. 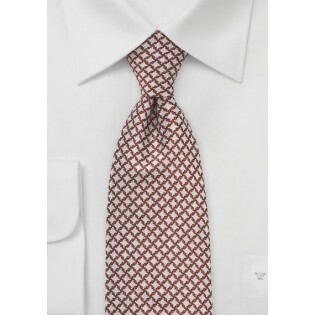 Designed by Cavallieri and hand-woven from 100% silk.